Here’s a healthy homemade Halloween candy that can double as a cough and sore throat remedy. Emily Heath, one of my UK beekeeper/blogger friends, mentioned in her recent post about the London Honey Show that she is suffering from a very bad cold. Another blogger friend, Solarbeez, asked me if I had a honey recipe that could soothe Emily’s symptoms. 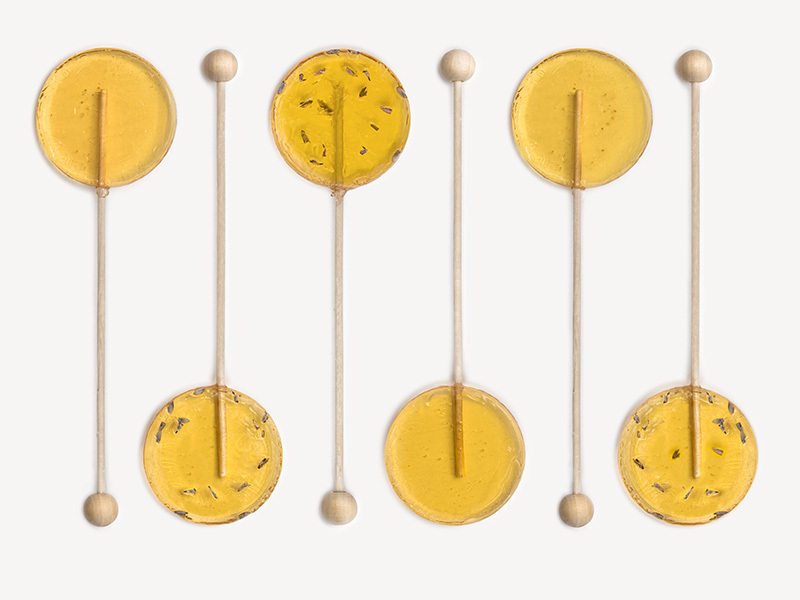 Here is my recipe for Cough and Sore Throat Soothing Honey Lollipops. They are easy to make and effective and taste wonderful as well. You will need at least a 1/2 cup to 1 cup of honey, a non stick surface, a candy thermometer and 10-12 sucker sticks. You can also add flavors such as lemon, lavender, or cinnamon if you desire. A 1/2 tsp. should do the trick.